Personally, I think the doughnut shop has become the “it” bakery over the past year or two. They’re taking the place of “cupcakeries” that were, a while back, popping up on virtually every corner. But they’re not new, those doughnuts. Doughnuts (unlike the modern icing-laden cupcake) have been around for a very. long. time. Centuries, even. Thanks to Smithsonion.com, my thirst for doughnut evolution knowledge was quenched. It is true that the humble doughnut does have a convoluted past that involves Dutch immigrants, Russian exiles, French bakers, Irving Berlin, Clark Gable and a certain number of Native Americans. And, yes, in its democratic ethos, its optimism, and its assorted origins, it does seem rather quintessentially American. Sweet. Eating doughnuts is American. Just one more reason I can support that. I haven’t been to EVERY doughnut shop in the area. Shocking, I know. First I’ll share the three I have visited, and then I’ll move on to my bucket list of doughnut shop visits! In total, you’ll have 8 killer doughnut shops nearby to stalk, and their goodies on which to gorge. How bad it that? It’s not. It’s AWESOME. With locations across the U.S. (including Frederick, Md. ), Fractured Prune is one specialty doughnut shop that’s able to whet your appetite no matter if you live in Maryland or Arizona, and many places in between! What I love most is that the toppings are outrageous, and they serve the doughnuts fresh, hot, and made to YOUR order. Tons of glazes and toppings to pick from, and a rainbow of colors to make you smile. Two words: potato flour. Hidden in a back alley in Hagerstown, Md., Krumpe’s Do-Nuts is easy to miss, unless your first visit is with a veteran Krumpe’s connoisseur. (There’s a reason I know this.) Light, airy, no fuss – you want the plain glaze doughnut here. Trust me. Golden brown delicious, that’s what GBD stands for. Their claim to fame (like another on this list) is doughnuts and fried chicken. FRIED CHICKEN AND DOUGHNUTS. I mean, why not? GBD is more of a cafe than a doughnut shop, serving breakfast, lunch, dinner, AND craft beer and wine. That’s worth a trek to Dupont Circle for some good eats. HELLO. Wait. 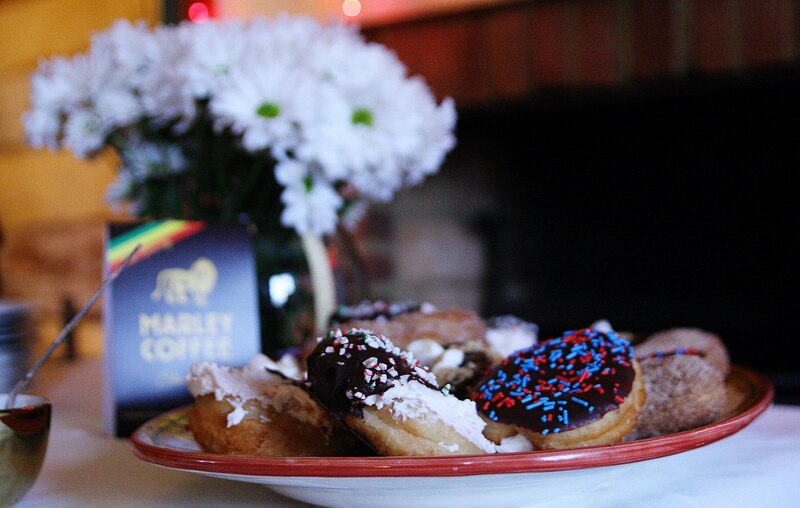 More doughnuts and fried chicken in D.C.? Astro Doughnuts & Fried Chicken serves up artisan doughnuts with “finger lickin’ good” (according to many reviews) fried chicken, southern-style. They have a crème brûlée doughnut that is, apparently, to DIE FOR. So, yes. A mini-road trip to NW Washington DC, is in order, I think. 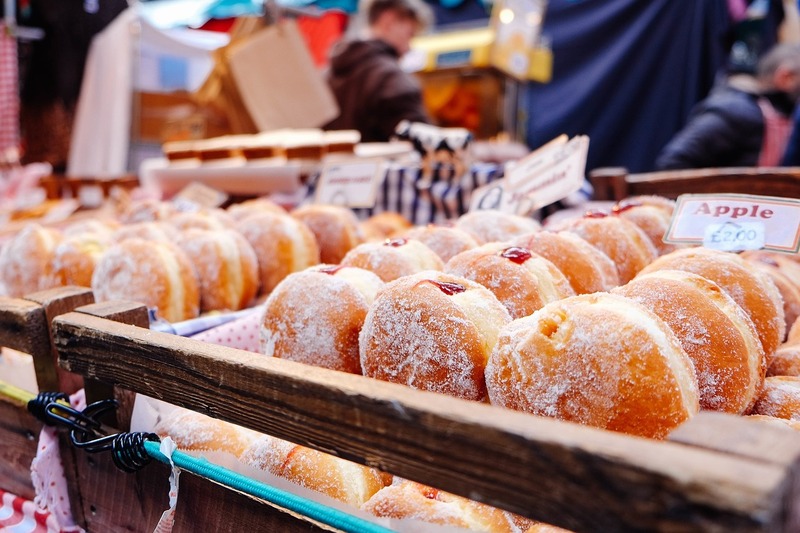 Speaking of farmers’ markets, Migues Magnificent Mini Donuts is rumored to be out of this world, and can be found at the Baltimore Farmers’ Market, as well as the Patapsco Flea Market, on a weekly basis. If this review doesn’t make you want to drop everything on Saturday and find those perfect, tiny, delicate doughnuts, I’m not sure what will! P.S. The reviewer mentions that her patronus is a doughnut, so clearly she’s legit. I mean, the doughnuts of District Doughnut have stories, and the people behind them are busy reinventing American classics, and combining art and science into doughnut recipes of awesomeness! Beyond having doughnuts like Brown Butter and Cannoli, which sound amazingly ridiculous, they also celebrate other doughnut lovers with #DoughFace, and they have a blog. I love when businesses think outside the box when engaging with the community and their tribe. And when they serve yummy doughnuts. Thanks for doing all the research on these great places! Can’t wait to try!